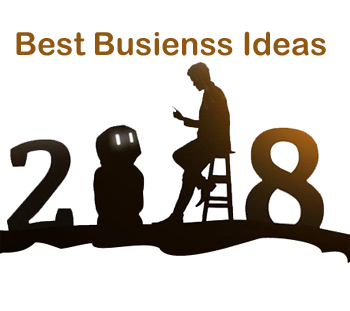 Best Business Ideas 2018 – Are you tired with your 9 to 5 Job? Do you want to get rid of the same boring company and same boss? If yes, then it’s time to start your own business. Business helps you to generate a healthy income. You can become your own business and live a wealthy and flexible lifestyle. No matter how much education you possess or experience you have. You just require dedication, hard work, perseverance and desire to succeed in business. In order to help you here are Top 10 Best Ideas for 2018. All these business ideas are carefully selected based on business potential, market trend, economic condition and investment required. A holiday rental is a business of renting fully furnish house to professionally managed hotel or resort for temporary basis. This business require lot of capital investment. If you have multiple properties, then this business idea is for you. You need to prepare your property for ready to rent. Once your property is ready for renting you can give advertisement in local newspaper or at online property portals. Today everyone use mobile and looking at need mobile demand is ever increasing hence starting small mobile shop is good Investment idea. This business idea can be started with small investment. A location of mobile food truck and serving healthy and tasty food is success mantra of this business. The last business idea for 2018 is related to agriculture and food. I personally feel that there are lot of scope in this industry. You can start this business with low investment. Some of the relevant business ideas associated with agriculture and food industry are given below. Which business idea you will adopt from above and why? Do share your favorite business idea in comments.